Most people like tomatoes. They’re one of the most common vegetables among home gardeners, and for good reason. They’re relatively low maintenance, and the homegrown ones taste so much better than store-bought. 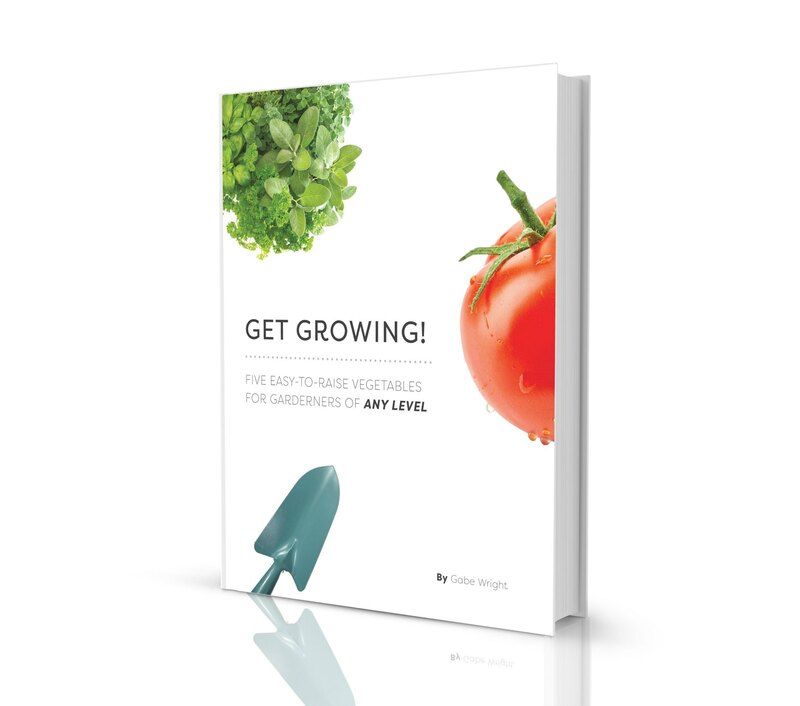 Although tomatoes are easy to grow, there are some things you can do to give yourself a better chance of success. 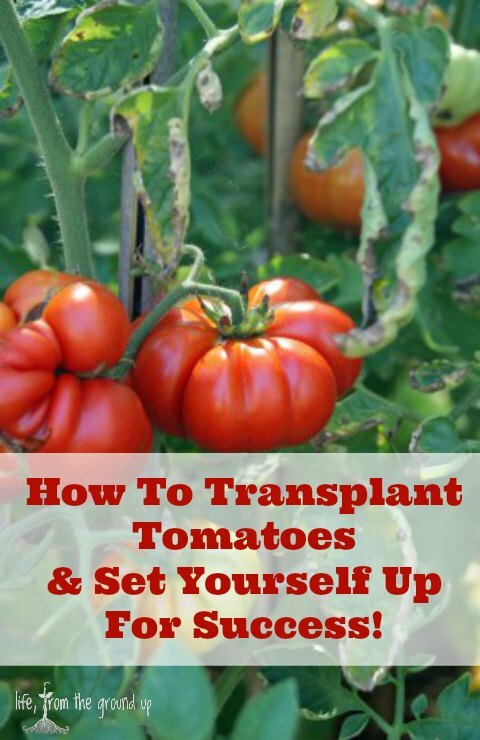 If you’re interested in how to transplant tomatoes properly, here are a few quick tips! The more sun, the better. And tomatoes like heat, so don’t plant them too early, even if you have a nice spring weekend. If it cools too much after you plant them, they either die from a late frost (worst case), or they stay angry with you for weeks and won’t grow (best case). 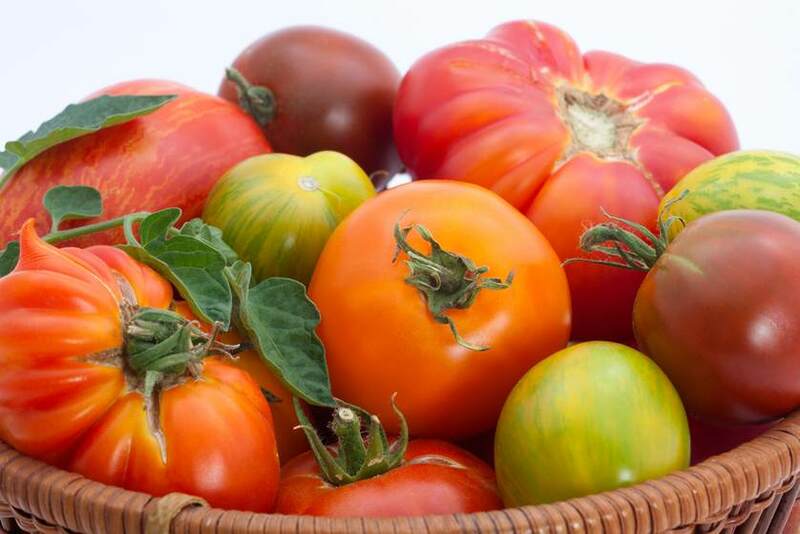 Loose, well-drained soil, full of organic matter (compost) is one of the best things you can give your tomatoes. And if you don’t have a spot in the ground, tomatoes do great in pots too (and you can start with a bagged mix that’s already a perfect growing medium!). Tomatoes are one of the few plants that like to be buried. When I plant, I bury at least half of the stem, usually leaving only a few inches aboveground. The buried stem will send out roots, making the plant much stronger and more robust. Before you bury them, pinch off any leaves that fall below soil level. They’re vining plants, so you should give them something to climb (and not the wimpy tomato cages that you get at the big box stores). A sturdy stake is what I use, but as long as you keep them up off the ground (where disease and slugs lurk), anything goes. Tomatoes don’t do well in crowds (maybe that’s why I love them). 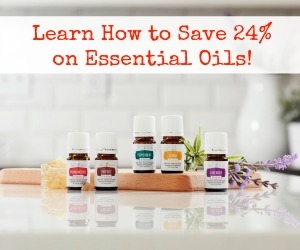 Because they’re pretty big plants, they need some space to really thrive. A minimum of a foot in either direction is okay; a couple feet is better. 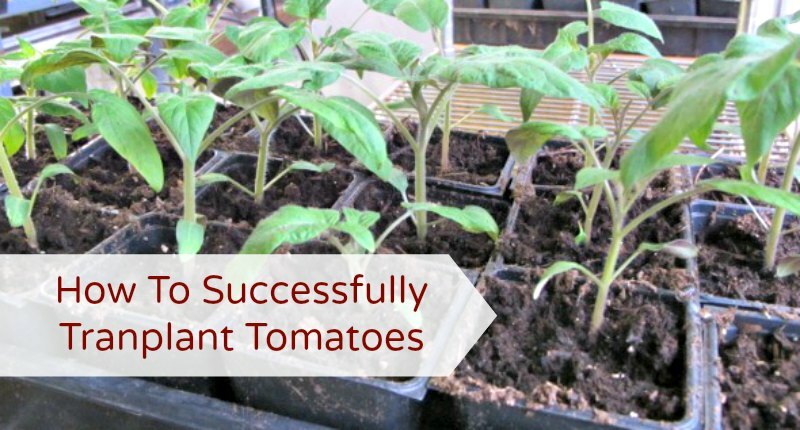 So if you’re looking how to transplant tomatoes successfully, give these tips a shot, and they’ll reward you with an abundant harvest!